Hardened and stamped oval-shaped steel blades are parallel-riveted to reduce backfill. 220mm deep powder-coated blades suitable for digging 6" dia post holes. 1200mm hardwood shaft with soft-grip handle. Long handles for greater depth and ease of use. 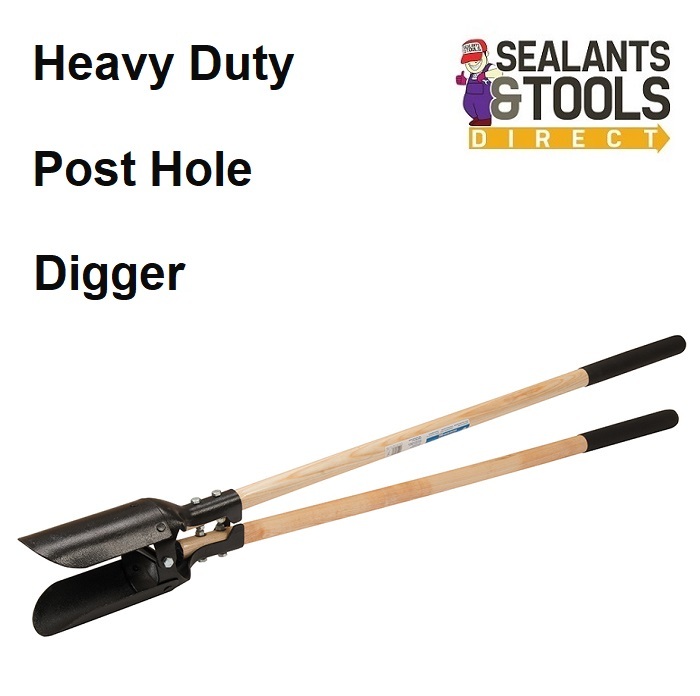 For digging deep narrow holes perfect for the digging of fence posts.